COMMAND Nutritionals, a dietary supplement contract manufacturer is committed to uncompromising product quality and consistency. 21 CFR 111 – Current Good Manufacturing Practices in Manufacturing, Packaging, Labeling, or Holding Operations for Dietary Supplements. 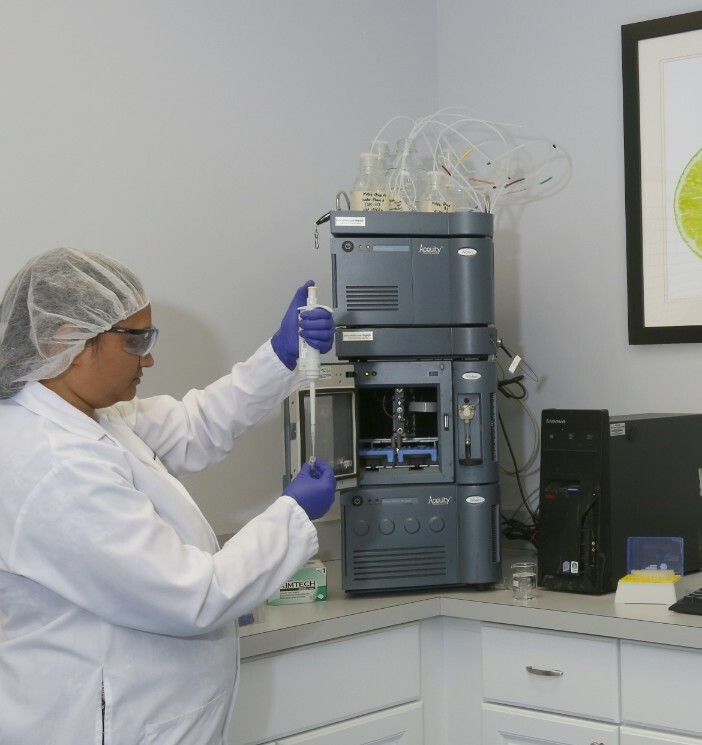 Our highly trained lab technicians use the latest technology, high speed, instrumentation including UPLC, NIR, and Kjeltec Protein Analysis. 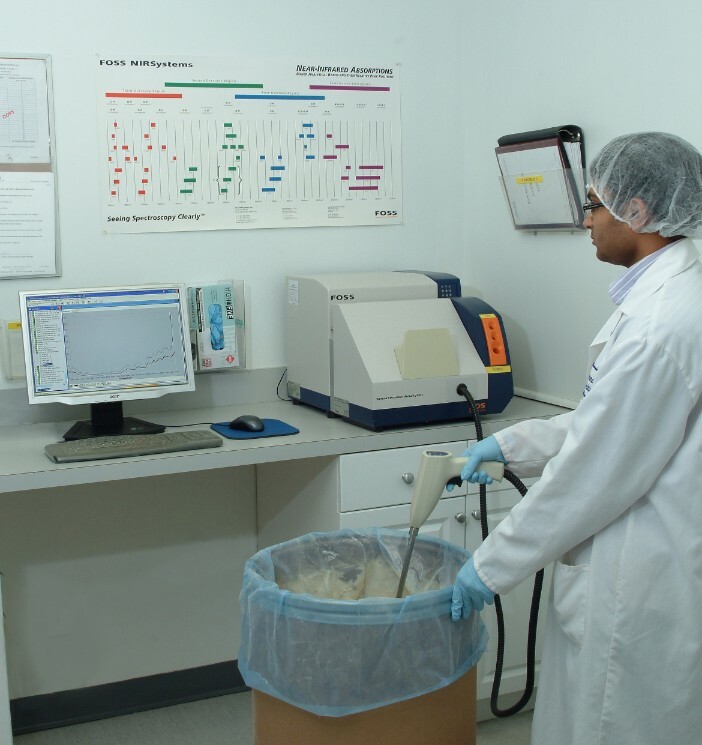 We also partner with qualified, audited and certified outside labs to assist in quick turn around microbiological testing along with select raw material and finished product analytical tests. We also perform and maintain long-term and accelerated Stability Studies. The accelerated studies are regularly monitored in a state of the art environmental chamber which maintains pre-set temperature and relative humidity conditions. Stringently scrutinizing and qualifying all prospective material suppliers via a Supplier Qualification and Audit Program. All incoming materials are quarantined upon receipt and then identity tested via Near Infra Red (NIR) to confirm their identity. Specific material specifications have been established for each raw material and packaging component and then thoroughly tested to assure that they meet specification prior to use. Pre-shipment QC audits and final inspections of all finished goods prior to shipment. 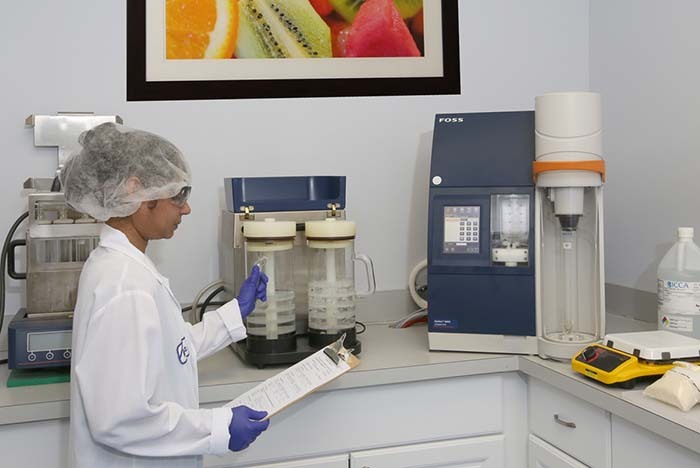 Continuous in-process QC checks verifying ingredient identity, weight, and addition, appropriate sign-off, and actual vs theoretical yield to protect against non-conforming product. Organoleptic and physical state comparisons to the control sample to confirm flavor profile, sweetness, mouthfeel, aroma, texture and appearance. QC sign-off on all packaging line equipment, bulk powder, and packaging components, prior to start-up, to ensure the established packaging specifications are being met.